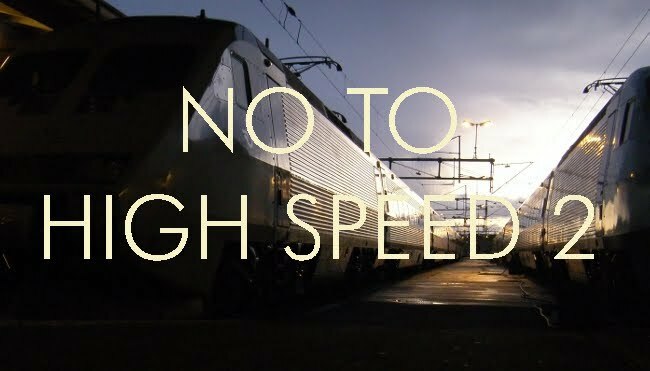 Do you agree with the principles and specification used by HS2 Ltd to underpin its proposals for new high speed rail lines and the route selection process HS2 Ltd undertook? 250 mph is not optimal for rail transport in the UK. Costs are proportional to speed to the power of X, where X is greater than 2. Thus, the costs of travel at 140 mph are more than double those at 100 mph. These extra costs comprise amongst other elements, energy costs, initial costs of equipment specified for the higher speed of operation, wear and tear, and maintenance. Time savings, on the other hand, are less for each increment of speed increase. Thus a journey of 120 miles takes 2 hours at 60 mph, 90 minutes at 80 mph, 72 minutes at 100 mph and 60 minutes at 120 mph, giving successive time savings of 30 minutes, 18 minutes and 12 minutes respectively. For typical UK distances, speeds much higher than 100 mph achieve diminishing returns. Minimising environmental impact by the measures proposed gives rise to one set of additional costs that would not be incurred if the railway operates at conventional speeds. Operating fixed formation trains as proposed is wasteful. It gives rise to a constant supply which cannot be adapted to demand. Thus demand has to be managed using yield management techniques, resulting in complex fares structure which force people to make their travel plans far in advance and tie their journeys to particular times. This in turn adds to journey time since passengers must allow the best part of an hour for delays on the way to their point of departure. Which completely negates most of the time savings achieved by high speed running. From this point of view, a conventional speed walk-on service will give shorter journey times than a high speed railway with an airline-style booking system! Trains should be specified so that their length can be easily varied to suit demand. Most journeys are not city-centre to city-centre. The onward links are critical. Without them, the high speed rail is nothing but a vanity project. Providing good onward links will absorb most of the funds available for transport in the next 20 years.